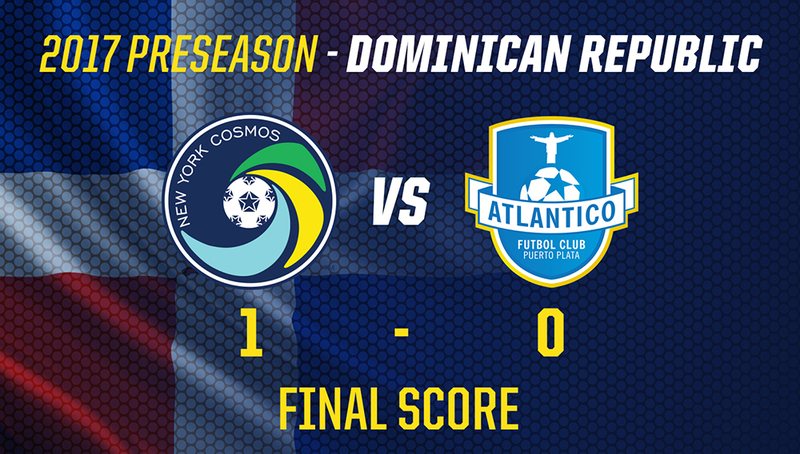 The New York Cosmos kicked off their Dominican Republic preseason with a 1-0 victory over Atlántico FC in an international friendly at Leonel Plácido Stadium Tuesday evening. Venezuelan midfielder, Juan Guerra, scored the winning goal. New York dominated the ball early, as midfielder Andrés Flores made a quick cut inside to combine with Italian striker, Amauri, to create the first chance of the match in the sixth minute, but his shot went wide. 14 minutes later, Flores found himself one-on-one against Atlántico’s goalkeeper, Geancarlos Martinez, but the keeper’s quick reaction helped maintain the score even. Jimmy Maurer controlled a one-on-one situation of his own against striker, Mauro Gomez, who tested the Cosmos’ defense restlessly throughout the first half. Danny Szetela came close to scoring the first goal of the match in the 40th minute, after looping a shot over Martinez, who nervously watched the ball hit the crossbar. 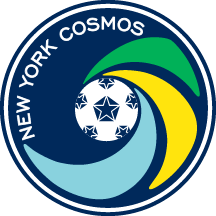 New York found the go-ahead goal four minutes into the second half, as Juan Guerra curled the ball over the wall and past Atlántico’s goalkeeper to score his first goal for the Cosmos. Goalkeeper Brian Holt, who play the entire second half, made sure to put a lock on his goal as he effectively turned away two shots and successfully grabbed Atlántico’s crosses to preserve the one-goal difference, which eventually granted the Cosmos its first preseason victory. The Cosmos will travel to Santo Domingo tomorrow to play against 2015 National Champion, Club Atlético Pantoja at Estadio Olimpico Félix Sanchez on Friday, March 3. New York will kick off the 2017 NASL Season March 25, when they travel to Juan Ramón Loubriel Stadium to take on Puerto Rico FC. The Cosmos' 2017 home opener will take place at MCU Park in Broooklyn on Saturday, April 1 at 7:00 pm against Miami FC. Season tickets are on-sale now.